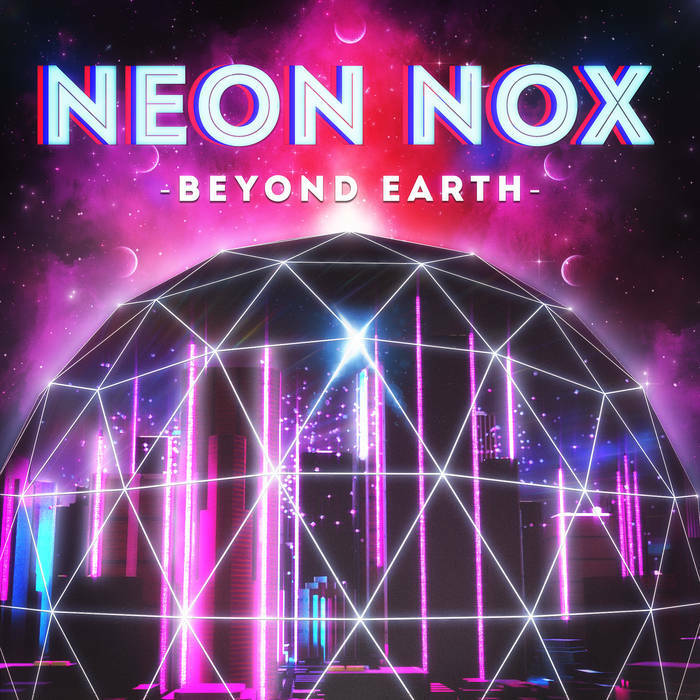 Top Ten Retrowave Album Covers of 2016 - NewRetroWave - Stay Retro! | Live The 80's Dream! 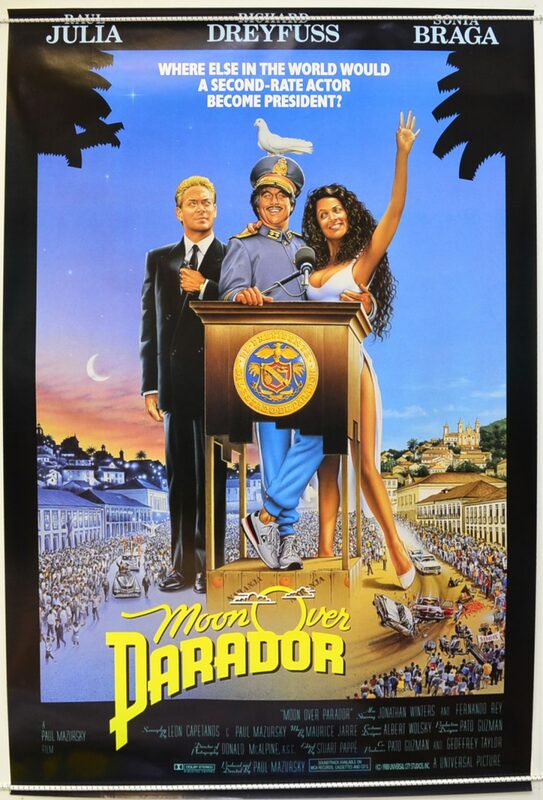 While may of us are drawn to this scene by a deep love of the music, it is undeniable that the graphic artists are just as important in giving all of this the identity and presence that it has enjoyed. The artists in the scene are among the nicest, most welcoming, and most talented people that I have had the pleasure of knowing. With that, here are the 10 best album covers of the year! If you haven’t heard of these artists (or listened to these albums for that matter), I strongly encourage you to do so! 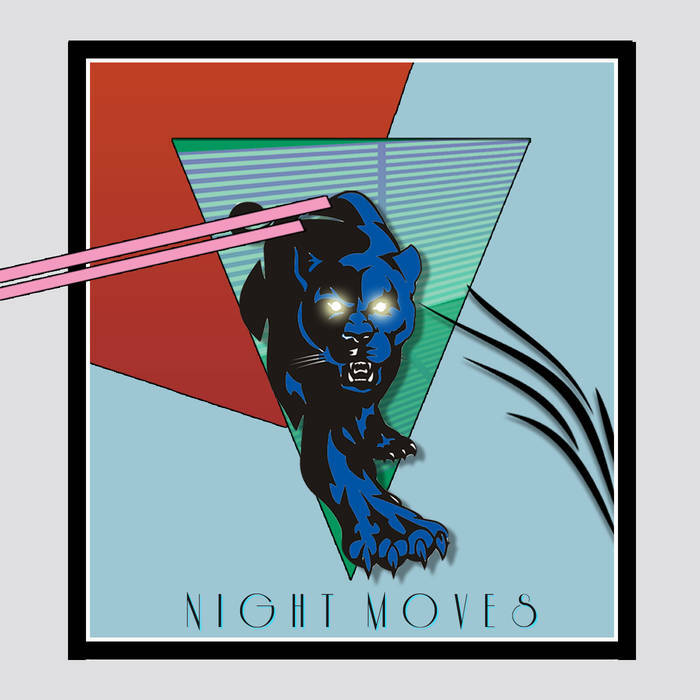 The blend of abstract influences with a concrete and recognizable focus in the center makes the cover of Night Moves stand out and stay memorable. It’s true strength lies in how it handles blank spaces. While the margins of the cover include a lot of emptiness, things become clustered words the center. This is beyond the presence of the panther, as even the background of the central triangle funnels your eyes towards the center of the cover. 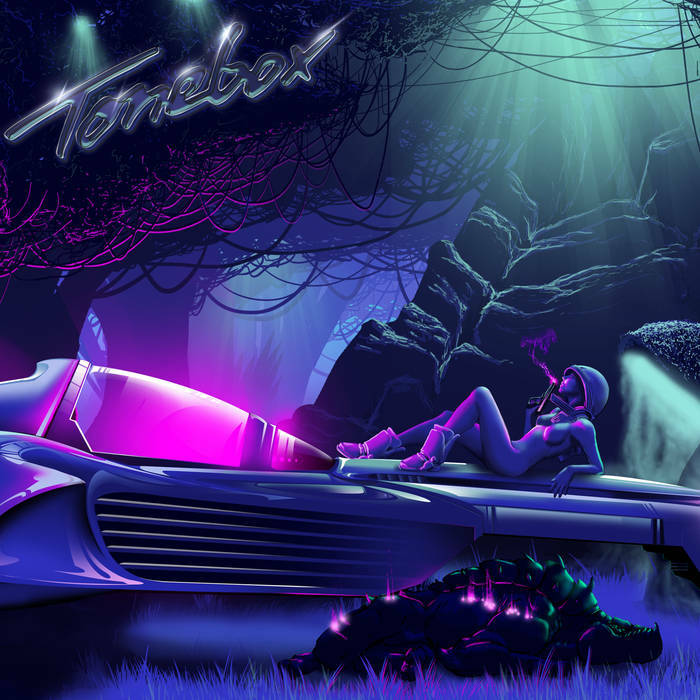 Retrowave art is often neon-focused. While that is true of Derek Rudy’s cover art for Nocturne, it’s worth noting just how much darkness and shadow is allowed to exist in the frame. This allows the neon that does exist to have a very different vibe than it might otherwise. This, paired with the wonderful depth of the picture’s layers, made it one of the first covers I thought of when creating this list. 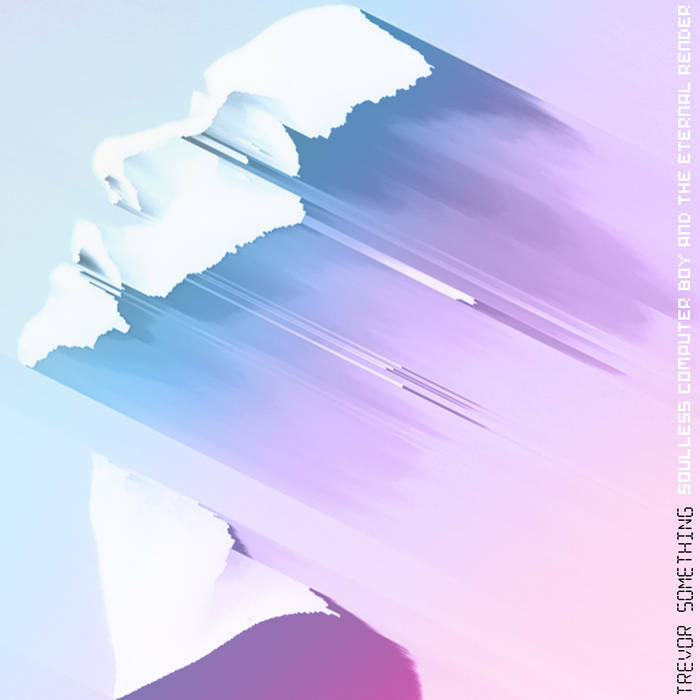 Com Truise albums are always a big deal. As an artist in the scene with mainstream success, it’s no small feat that his albums are consistently among the best of the year, and that his album covers become synonymous with the music of the scene. Silicon Tare continues this trend by doing an impressive amount with a relatively limited color selection and simplistic shapes. 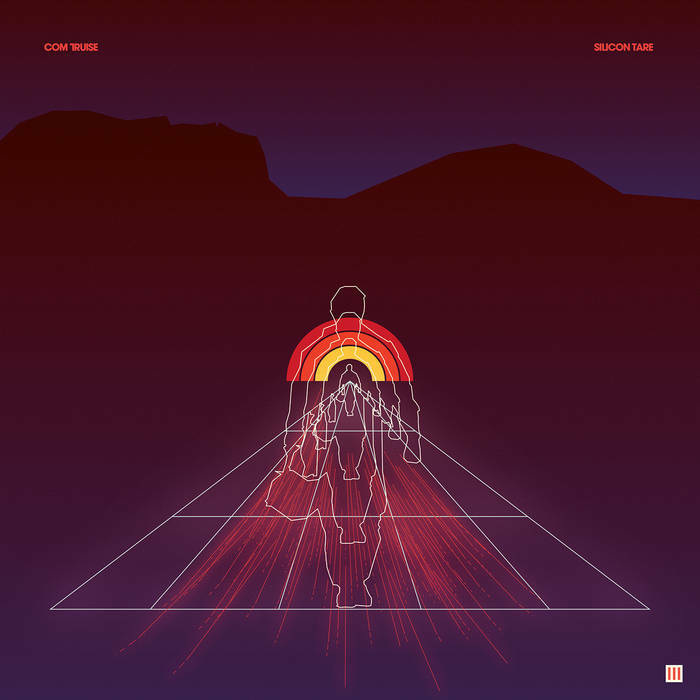 Like Com Truise’s music, it’s never overly showy or technical, but instead captures the spirit of the scene just as effectively as it stands alone as a piece of art. 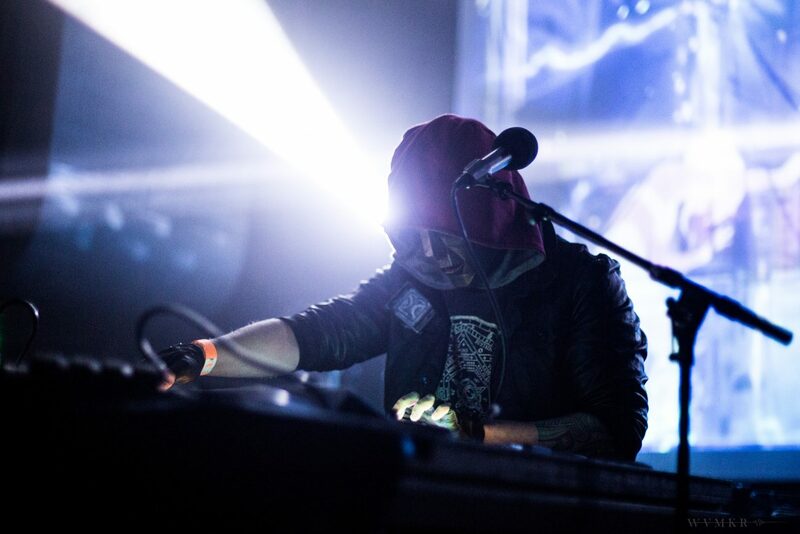 Perturbator’s music has always sounded dangerous with it’s aggressive rhythms and bombastic melodies. 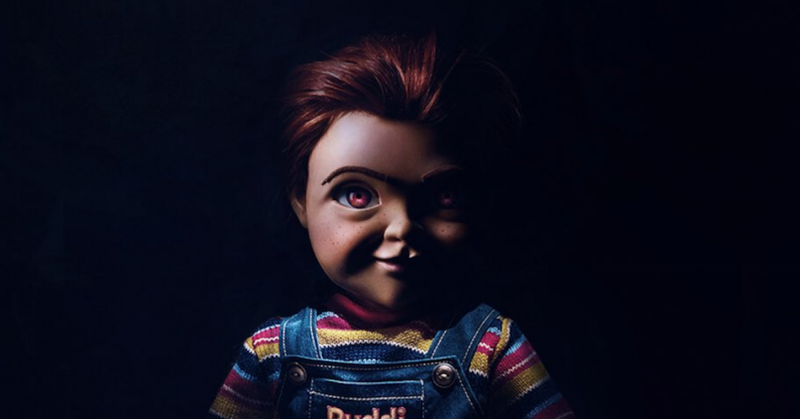 Ariel Zucker-Brull captures this spirit perfectly in the cover of The Uncanny Valley. There is an unmistakable harshness to the lines and edges that is a signature of Zucker-Brull’s work at this point, and the cover sees him in top form. Mario Bravo Bulasinksi’s art for the Beyond Earth cover is just so pleasing to look at. It’s sharp where it needs to be and soft where it needs to be. With color alone, it captures the spirit of the scene so well with it’s glowing energy juxtaposed with two different night skies. 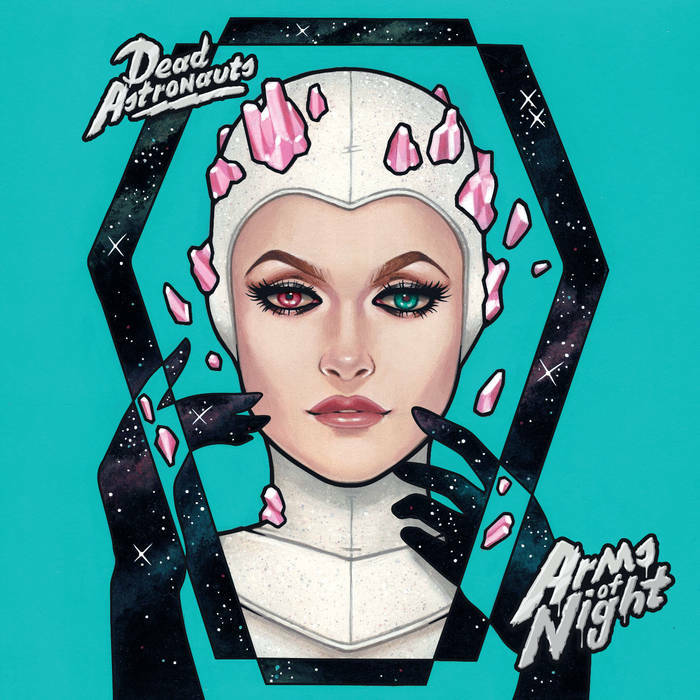 Dead Astronauts artwork has always felt just as much a part of their identity as their music. This was true with Constellations, and is just as true with Arms of Night. A lot of what they are as a band can be found in the Glenn Arthur’s awesome art, from the clear representation of duality, to the ethereal space, to the subtle witchiness. The art is Dead Astronauts. We don’t deserve Trevor Something. The man can pretty much do it all and do it all extremely well. Just like he always seems to be two steps ahead of everybody else musically, he’s also future oriented with his artwork. 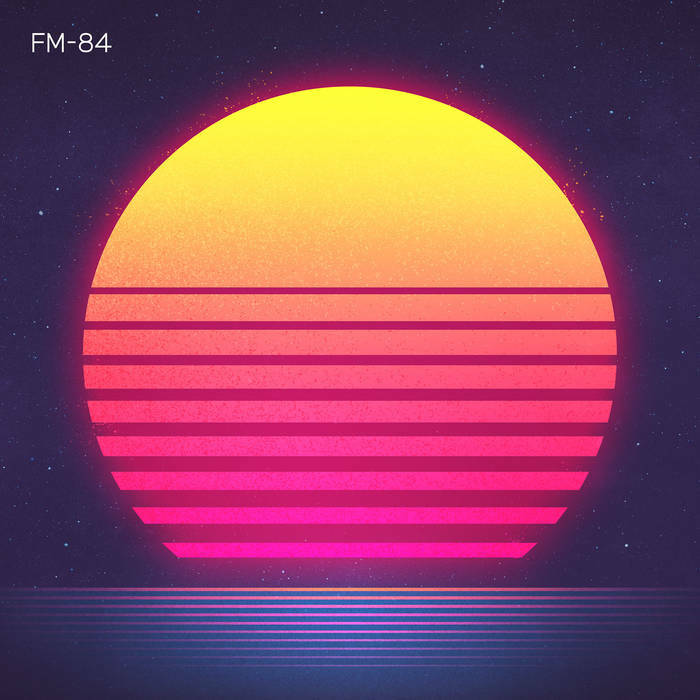 The way that it sits comfortable in what would be an otherwise uncomfortable line between retrowave and vaporwave art is extremely interesting. The art for Soulless Computer Boy is no exception and really reinforces the ambience of the album itself. 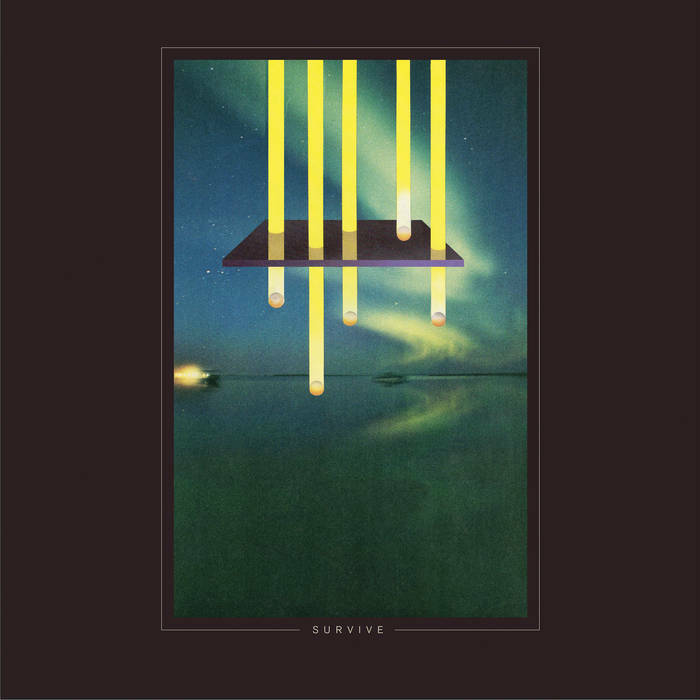 Stranger Things put S U R V I V E on the map as far as the retrowave scene was concerned. RR7349 solidifed them as one of the most unique acts in the scene. Similarly, Bryan Olson’s artwork looks completely original with it’s simple yet effective use of shapes and color. It has the quality of a bargain bin vinyl treasure even in a digital format and compliments the soundscapes of the album quite nicely. James White’s art for Atlas is one of the best examples of minimalist artwork done extremely well. Rather than throw as much as he could with as many colors as possible, White opted for a simple, shape-based piece. That isn’t to say it doesn’t take tremendous skill. On the contrary, the cover displays the best possible choice at every turn. It’s difficult to imagine changing any hue on any part of it, or changing any location or size to the slices. Everything is as it should be. Sam Todhunter’s work has appeared on a lot of NRW promotional material and has been featured on our clothing line Akade Wear. This isn’t a nepotistic pick. 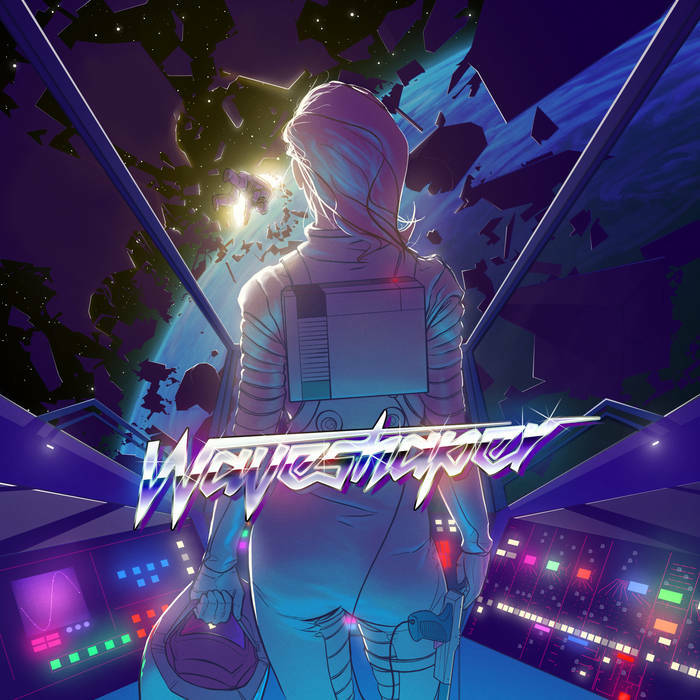 Todhunter’s work is just stellar and at it’s best in the artwork for Waveshaper’s Station Nova. The level of detail and refinement on every part of the cover – whether it’s the control panel, the way that light reacts with shapes, or the impeccably drawn woman staring into space – everything works on it’s own and as a cohesive whole.